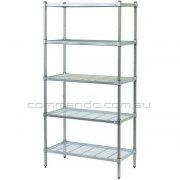 Wire shelving is an excellent option if air flow and strength are important for your storage requirements. 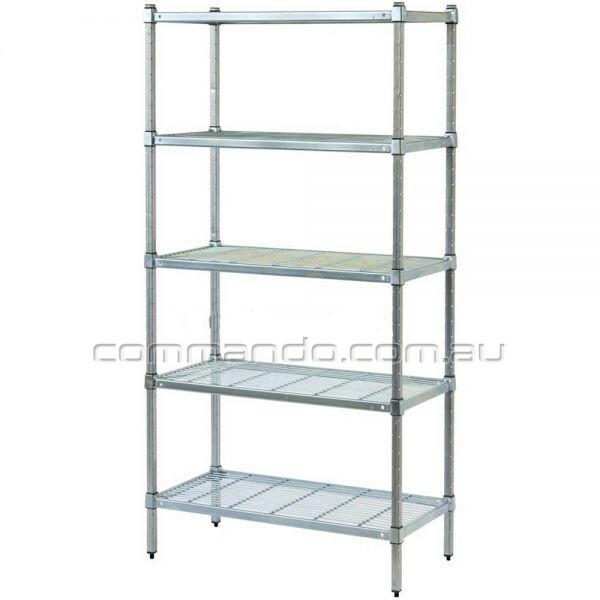 The wire shelving system is easy to install and features adjustable shelves at 50mm increments. 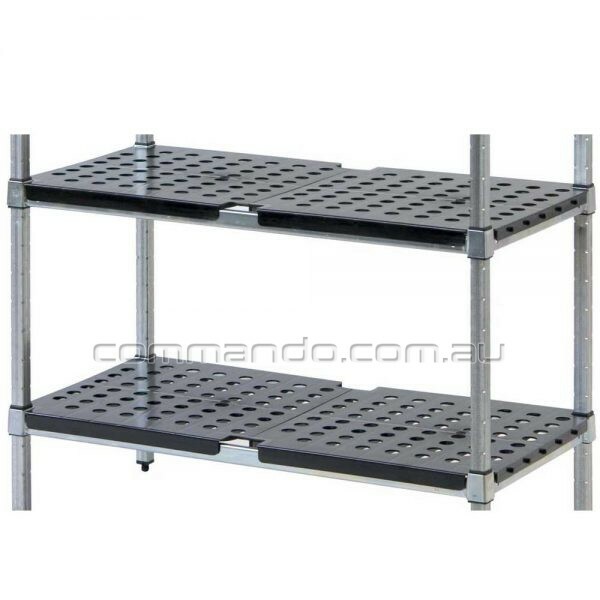 Each shelf features a solid front and side which allows easier cleaning capabilities. The solid feature of the shelf also allows for product name/pricing labels to be easily attached if required. 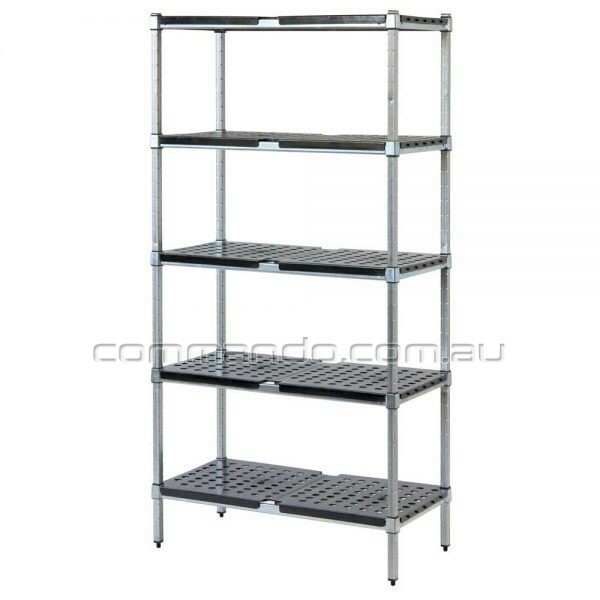 Each shelf also includes fully welded steel corners which offer greater strength and rigidity to each shelving bay. Optional drop in ABS mats makes cleaning your work space a breeze. 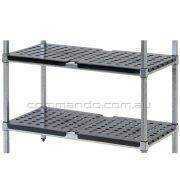 The shelves are easy to remove, keep clean and are dishwasher proof for convenience. 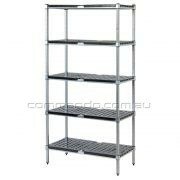 Cleaning your cool room one shelf at a time without having to dismantle the whole bay of shelves is a huge time and cost saving.